Legal education plays a vital role in nation building as it facilitates settlement of disputes by the procedure established by law in a peaceful manner. Rule of Law is the basic feature of the Constitution of India and quality legal education is sine qua non to facilitate it. Therefore, it is essential for the youth to receive the legal education as it would make them understand the relevance and significance of democratic values. 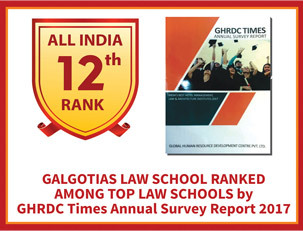 Galgotias University initiated School of Law (recognized by the Bar Council of India) as a part of this mission of providing quality legal education. 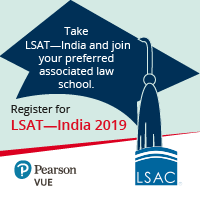 The School is focused on producing litigation specialists, corporate lawyers, mediation & arbitration experts, and professionals to draft legal instruments, policy makers, researchers and academic, diplomats, comparative law experts for burgeoning LPO industry and others skilled to meet the diverse requirement of legal human resource. Galgotias School of Law offers world-class infrastructure including Library that’s well-stocked with thousands of Books, academic and reporting Journals and other reference materials. It also has access to numerous online Legal databases. Wi-Fi enabled campus enables the students to access the online legal database and stay updated. 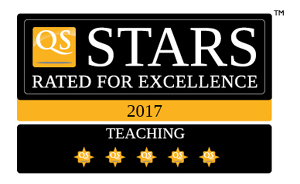 Classrooms are well equipped with LCD projectors and other IT tools for education. A spacious auditorium serves the need for various seminars, conferences and other events. The School also has a Moot Court Hall to help students get practical court-room lessons.